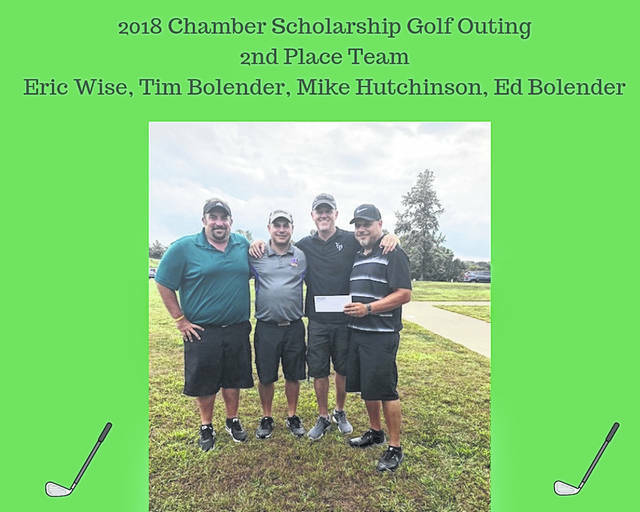 The Fayette County Chamber of Commerce thanked its numerous sponsors, players and volunteers for their support of the annual Scholarship Golf Outing. Eighteen teams came together for a great day of golfing at Buckeye Hills Country Club on Sept. 7. All proceeds from the outing fund scholarships for area graduating high school seniors from Fayette Christian School, Washington High School and Miami Trace. 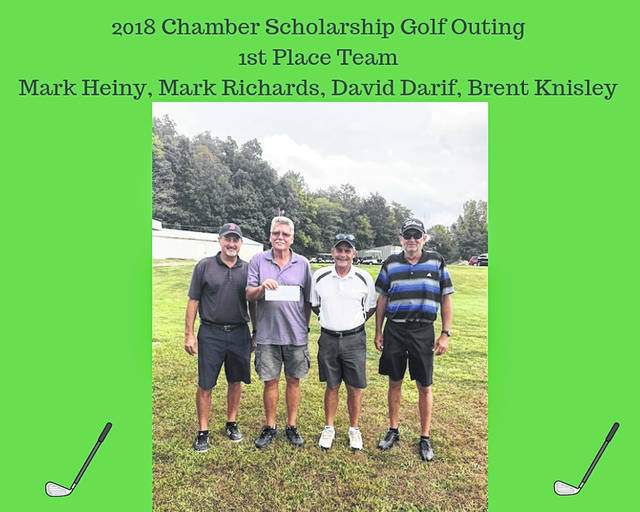 https://www.recordherald.com/wp-content/uploads/sites/27/2018/09/web1_2018-Chamber-Scholarship-Golf-Outing1st-Place.jpgThe Fayette County Chamber of Commerce thanked its numerous sponsors, players and volunteers for their support of the annual Scholarship Golf Outing. Eighteen teams came together for a great day of golfing at Buckeye Hills Country Club on Sept. 7.
https://www.recordherald.com/wp-content/uploads/sites/27/2018/09/web1_2018-Chamber-Scholarship-Golf-Outing-2nd-Place.jpgAll proceeds from the outing fund scholarships for area graduating high school seniors from Fayette Christian School, Washington High School and Miami Trace.